Mexico’s General Election Day receives a ton of attention on domestic and international levels. Why? Because it only happens once every six years. Under Mexico’s constitution, the country’s president is only allowed to serve a six-year term, with no chance of a re-election. So, whenever the Mexican General Election Day rolls around, it is a huge deal because it means the country is going to elect a completely new president. Mexico’s General Election Day is always held on the first Sunday of July and is recognized as a national holiday. Mexico's current president, Enrique Peña Nieto, is elected to serve until 2018. Lázaro Cárdenas is the first Mexican president elected to a six-year term. 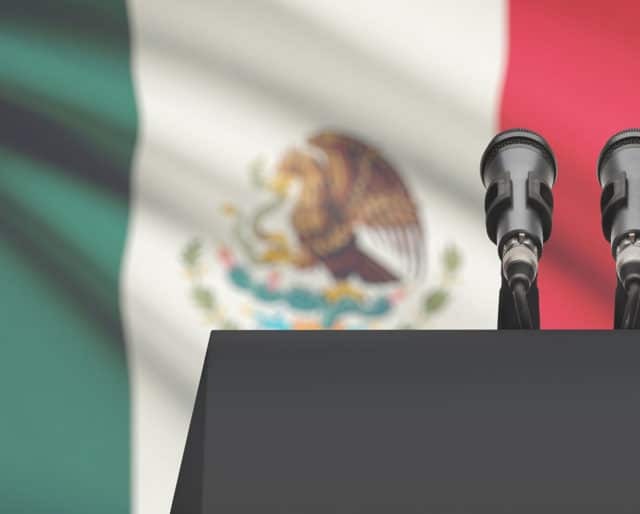 After a time of much political chaos and confusion, the government of Mexico underwent constitutional reform and set up the six-term year system for presidents. Guadalupe Victoria became the first constitutionally elected president. In May of 1822, Agustín I began ruling over Mexico as an Emperor. This only lasted for one year. Whether you're a Mexican citizen or not, you can tune into your local news station or keep up with news headlines throughout the day on July 1 to watch the election results roll in. Mexico's General Election is influential on a global scale, so it is important to stay informed. In every election, it is important to do your research. For everyone voting in Mexico's General Election, learning about the presidential candidates is a crucial factor in making an informed decision. For anyone who won't be voting, it's still a good idea to acquaint yourself with the Mexican presidential candidates so that you can get a good feel for the political climate within the country. Whip up some classic Mexican dishes and host a watch party for the General Election. Invite a bunch of friends over and have a good time keeping an eye on the election results as they roll in. Word on the street is that margaritas are an added bonus to this festivity. Enrique Peña Nieto identifies as a Roman Catholic. Nieto's wife, Angelica Rivera, is a soap opera star. For a year, Nieto studied in the United States so that he could learn English. From 2005-2011, Nieto served as Governor of the State of Mexico. Before being sworn in as president of Mexico, Nieto travelled to Washington D.C. to meet with the then-President of the United States, Barack Obama. It's easy to brush politics aside and let it slip from our attention, but Mexican General Election Day serves as a great reminder of how incredibly important each and every person's vote is. Nothing is more influential to the political atmosphere of a nation than a general election. In Mexico, a president can only serve for one, six-year term. So, every election year that comes about means that it is time for a completely new president to be elected. In many other countries, a top leader can be elected more than once, so this rule makes Mexico unique. On Mexican General Election Day, the election of a new president draws a great deal of attention, but there are many other government officials up for election on this day as well. This year, more than 3,000 positions are up for grabs throughout the country. Citizens have a lot of work to do at the voting booths!